Using food for healing is a pretty hot topic at the moment, and as a result nutritionists get asked about adding specific “superfoods” into diets on a daily basis. Whilst I think its more important to talk about eating a varied, whole foods diet rather than give focus to any one food being able to solve all your health problems, there are undoubtedly some that deserve a mention. I think Turmeric is one of them. Turmeric would have to be one of the most popular healthy food trends at the moment, and due to the huge range of claimed and proven health benefits its also been one of the most studied foods/spices/herbs in recent years. Turmeric is used for both nutritional medicine (as it’s a food) and herbal medicine. It has been used for its medicinal properties for centuries including in Ayurvedic and Chinese medicine. The main active component in Turmeric that has health benefits is Curcumin, which also gives Tumeric its colour. Curcumin’s benefits include being an anti-oxidant, anti-septic, analgesic, anti-malarial and anti-inflammatory. It is claimed to be beneficial with a huge range of health issues including arthritis, depression, heart disease, digestive and detoxification problems, diabetes, cancer, high cholesterol, reducing oxidisation, neurological diseases etc. High doses of Turmeric have been shown to be relatively safe. However, most studies to date show only a small increase in our circulation even at very high therapeutic doses. This is thought to be largely due to the fact that it is fat-soluble and not easily absorbed or available in our bodies.Additionally it is metabolised in our liver and eliminated very rapidly. There have been an unbelievable number of trials and studies done in recent years to try to work out what will make Curcumin (and other similar Curcuminoids) more available/usable in our bodies. As a nutritionist I’m able to access some of the great developments being made with supplements. 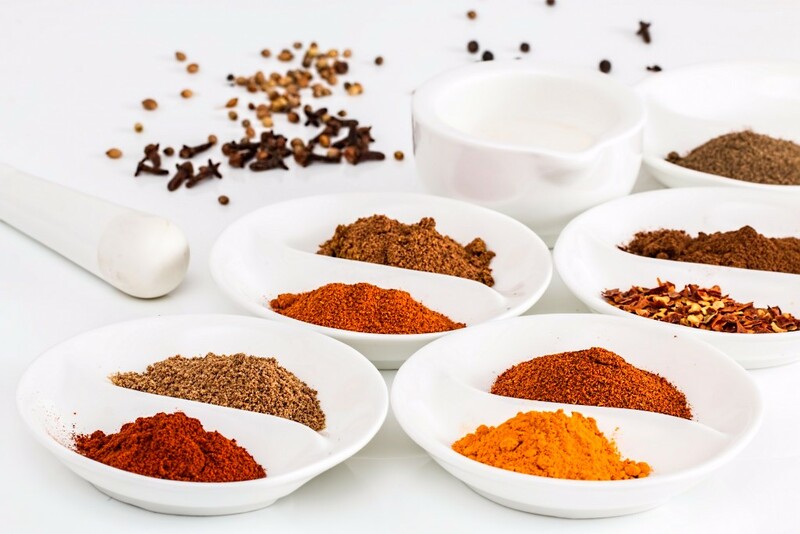 However, I think it’s also possible for anyone to make use of some of these key discoveries to increase the health benefits of this amazing spice in every day life. …And guess how Turmeric has traditionally been eaten in India?… with oil and black pepper. Supplements – Make your own at home by mixing up some turmeric with liquid coconut oil, a bit of liquid honey and black pepper. Let the mixture set slightly in the fridge and then roll them into very small balls (or whatever size you want) and let them set in the fridge. This can get messy so keep in mind Turmeric can stain your clothes. Turmeric is also great in curry’s, soups, stir-fries, casserole type dishes, salad dressings and many other things.There are endless ideas and recipes online so start creating. IMPORTANT NOTE ON HIGH DOSES: Turmeric does contradict with some conditions and drugs due to the fact that it can work as a blood thinner (e.g. high doses shouldn’t be taken prior surgery), lower blood pressure and blood sugar, increases bile production so may be a problem for people with gall bladder issues. Please check with a health professional before taking high doses of Turmeric if you have pre-existing conditions or on any medications.